I love getting my wedding photography published in bridal magazines like Premier Bride, and it is even more exciting to contact my wedding clients with the news that their wedding has been featured in the magazine. 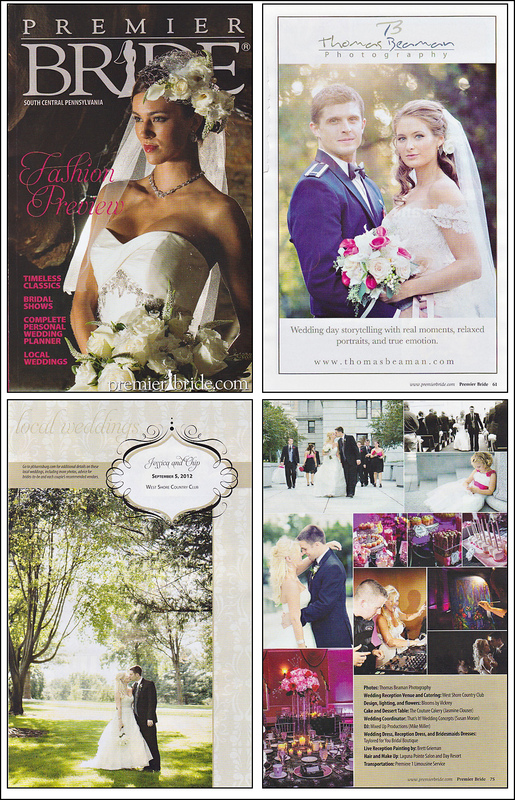 The new issue of Premier Bride Magazine features not one but two of my weddings. The first was Jessica and Chip’s beautiful wedding at The West Shore Country Club in Camp Hill, PA.
Jessica and Chip’s modern glam wedding featured a black, silver, and pink color palette. They were an awesome couple to work and as a bonus, I got to work with some amazing wedding professionals like Blooms by Vickrey, The Couture Cakery, That’s It! Wedding Concepts, Mixed Up Productions, and Taylored for You Bridal Boutique. To see more of Jessica and Chip’s fantastic West Shore Country Club wedding, check out the full blog post and slideshow.